I really don’t like fruitcake. At all. I know this is very “un-vintage” of me. Maybe it’s the creepy little mystery bits of neon-colored candies. Or maybe it’s the dense and soggy texture. Or the weird flavors. However, I am married to a man who loves fruitcake. So in a valiant attempt to do something sweet for my dear hubby, I decided to transform fruitcake this holiday season into something better, something yummy, or at least something not quite so creepy and mysterious. It started with a cookie recipe I found in my parents’ old Woman’s Day Collector’s Cookbook pages. 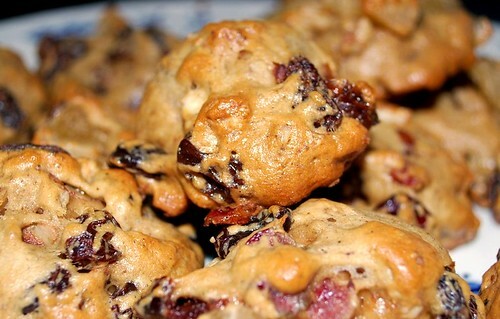 But even tweaked that recipe a little bit to make these delicious, tender little cookies. Instead of fluorescent-colored candies, I decided to go with some tasty dried fruits. Instead of bread that is soggy with liquor, I reconstituted the fruits with bourbon. Instead of a brick of dense cake, this recipe turned out light and fluffy. All in all, it was a success . . . Much better than your average fruitcake! They almost turned out like tiny fluffy fruitcake muffin-tops. Excellent as an afternoon snack or for breakfast with some coffee! 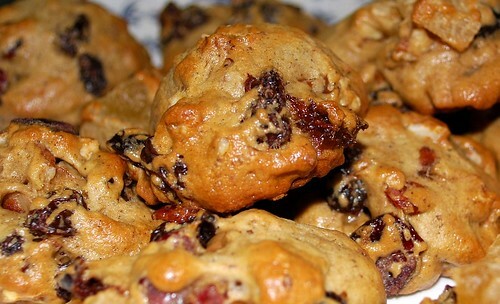 In a medium bowl, combine raisins, cranberries, and bourbon. 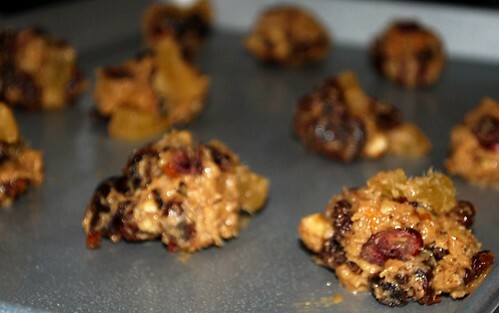 In a second bowl, combine dried cherries, dried pineapple, and rum. Allow both bowls to stand for 1 hour. Meanwhile, whisk together flour, soda, cinnamon, nutmeg, and cloves. In a mixing bowl, cream butter and sugar. Add eggs and beat until light and fluffy. 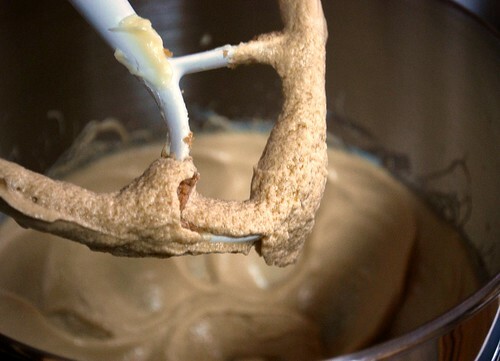 With mixer on low speed, add flour gradually and mix until smooth. 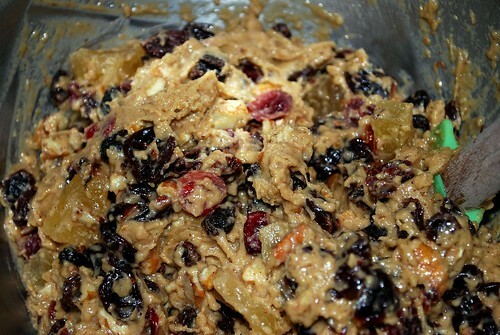 Add the fruit mixtures and nuts and mix well. Cover and chill overnight. Preheat oven to 325 degrees. 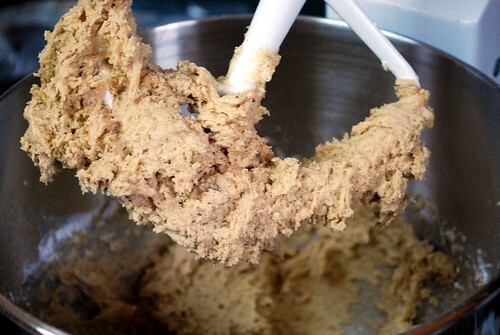 Shape dough in balls the size of walnuts, and put on greased cookie sheets. Bake for about 12 minutes. Cool on racks. Makes about 4 dozen.